We offer Personal Accident Insurance that covers death or disablement due to accident, caused by any external violent and visible means. For e.g. fire, drowning, snake bite, road/rail accidents, electrocution, attack by wild animals. The Personal Insurance Accident policy is offered to the client at low premium rates and also covers sterilization risk. 1100 To 60000 As Per The Service Plan. Personal Accident Insurance policy covers you against Accidental Death, Permanent Total Disablement (PTD) as well as Partial total disablement and Compensation the best portion of coverage we can make for you is 365 x 7 Worldwide. A & M Insurance Brokers (P) Ltd.
Get complete protection for you and your family - Health, Life, Home, Property and Unforeseen Medical Expenses - just at the click of a button. Widest range of personal insurance solutions now available right at your door-step. covers include policies for Accident, Health etc. 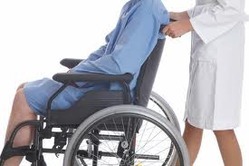 Products offering Personal Accident cover are benefit policies. RQBE is able to provide exceptional cover against injury to a wide variety of individual persons. We are providing personal insurance services.